HootSuite has launched a new HootSuite5 version with HTML5 support, drag-and-drop functionality, geo-search, and Google Analytics integration. The new HTML5 interface allows the application to load considerably quicker, something that was previously a definite downside to using it over TweetDeck and other programs. HootSuite is by far my favorite application to use on my iPhone. The ability to post to multiple Twitter accounts at once as well as schedule tweets in advance definitely gives HootSuite an advantage over its competition. Do any of you use HootSuite? 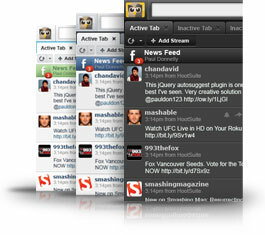 What do you think about HootSuite5?